superpowers that no other veggie possesses. fruit which looked like hen's eggs. cooking it is used as a vegetable. some eggplant on the menu. to boost their own blood supply. anthocyanin, isolated from eggplant peels. to the U.S. Department of Agriculture, is its active ingredient. proven to reduce the risk of Type II diabetes. insulin secretion and improving insulin sensitivity. work, bust out the eggplants. according to a study by Y. Noda at U.C. Berkeley, California. against lipid peroxidation of brain homogenates. blood flow through the brain. 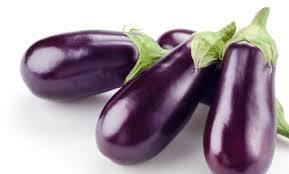 eggplant has a high viscuous fiber content. So what? you eat with that eggplant to achieve the same results? Okra, oat bran, and barley are some recommended options. terms of fat content, you're fine. contains only 35 calories. A win! 7. Can Eggplants Help You Quit Smoking? result of one cigarette you would have to eat pounds. eggplant contains as much nicotine as a cigarette.